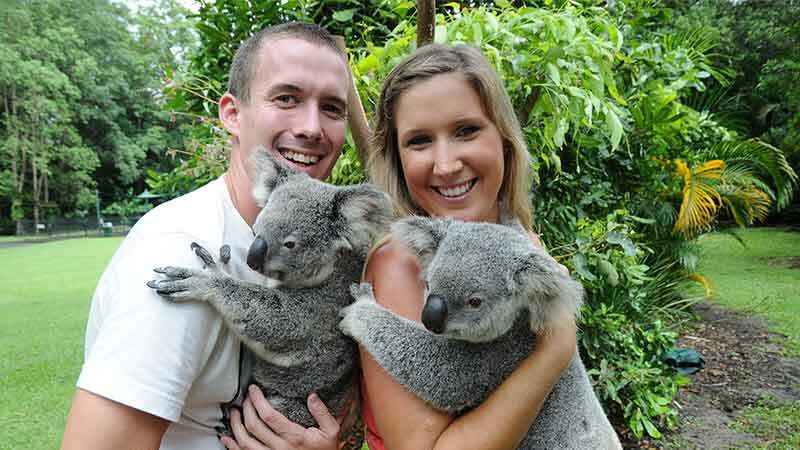 Enjoy a walk on the wild side at Australia Zoo. Journeying through the Zoo you’ll meet so many different animals – you’ll even get to pet them and grab a photo! The animal shows will also teach you all about their residents and the Zoo’s conservation efforts. Did you know is an easy one hour trip north of Brisbane? CRIKEY! Located in the hinterland of the Sunshine Coast, Australia Zoo has a team of passionate and dedicated conservationists who work 24/7 to deliver an animal experience like no other. You will get to see the many different mammals, birds and reptile species in the world as well as see all the action of the Croc show in the Crocoseum. The Irwin's vision is to make Australia Zoo the biggest and best wildlife conservation facility in the world, and there truly is no other zoo like Australia Zoo!